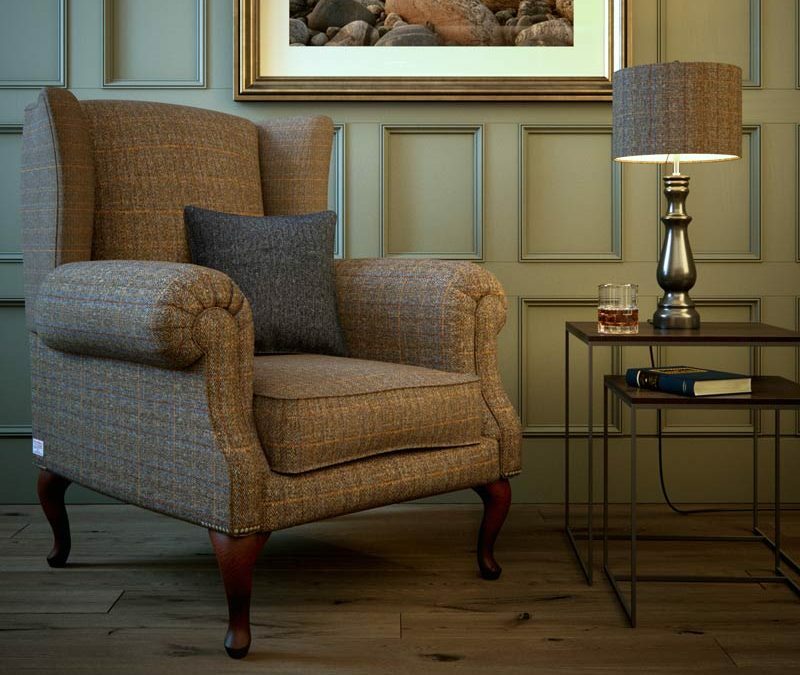 The classic wing-back chair is currently experiencing a fantastic comeback…and quite rightly so. This iconic style of chair, that dates back to the 17th century, has previously been criticised for being too fuddy-duddy and dated looking. In latter interpretations, however, the wing-back design possess more fluid and streamlined shapes creating more of a modern look and feel. It is an armchair that can be placed in any room and it will fit in with all interiors with over 17 fabrics to choose from. Blackhouse loves this iconic design and so we felt it deserved the honour of being covered in authentic Harris Tweed. Our ‘Arthurs Seat’ is available in 17 different designs…so order your sample swatches now! And did you know?? Traditionally the ‘wings’ on a wing-back chair were to protect the individuals head from any drafts. Additionally, the shape of this design would trap the heat from a fireplace where these armchairs were typically positioned.